It was gorgeous Sunday morning when we set out to go the Horticulture Expo 2013 being held here in Hyderabad. TH is totally into gardening and it gives him immense pleasure to watch the tiny seedlings grow into big living things. 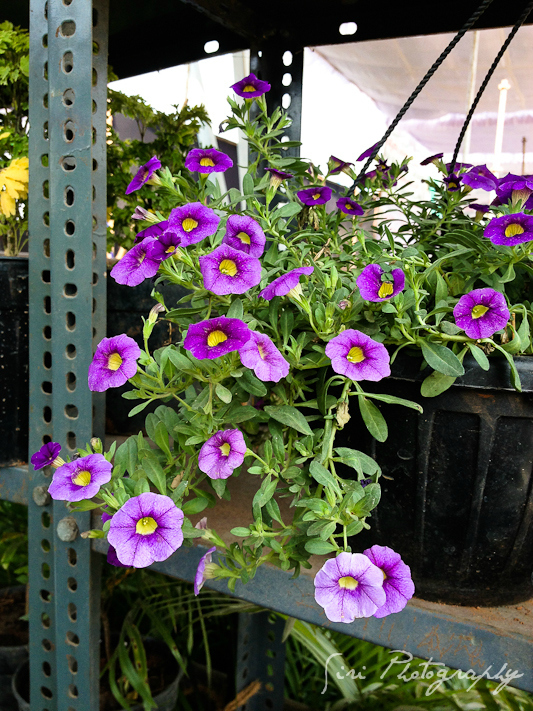 We have few vegetables and greens planted right now along with flowers and herbs as well. 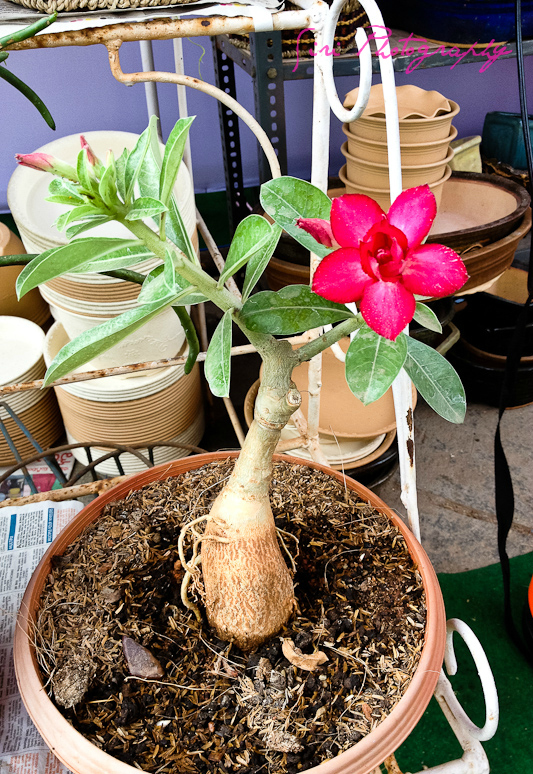 Did you know its now scientifically proven that gardening makes one happy and cures depression. It is said that it triggers the natural production of happy chemicals which in turn keep us joyful. :-) Now, that's one more reason to start working on your very own balcony or roof top garden. 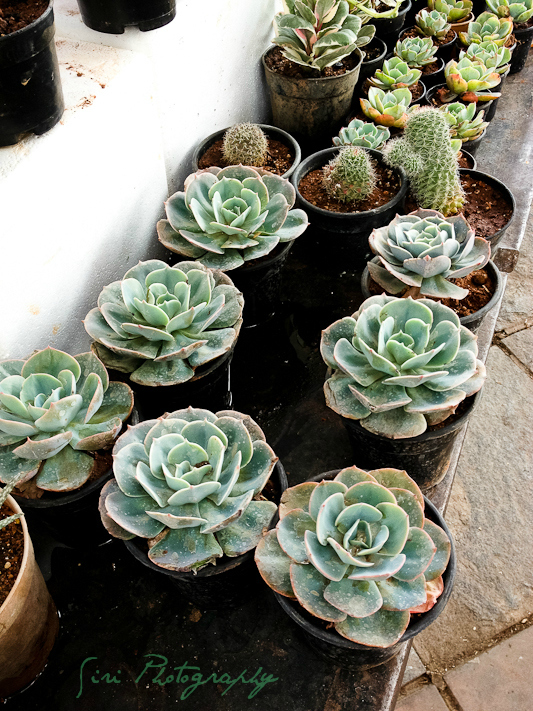 The Horticulture Expo is an initiative to bring all gardening enthusiasts under one roof. It gave us an opportunity to talk to nursery owners directly and buy the tools needed for our roof-top/balcony garden. 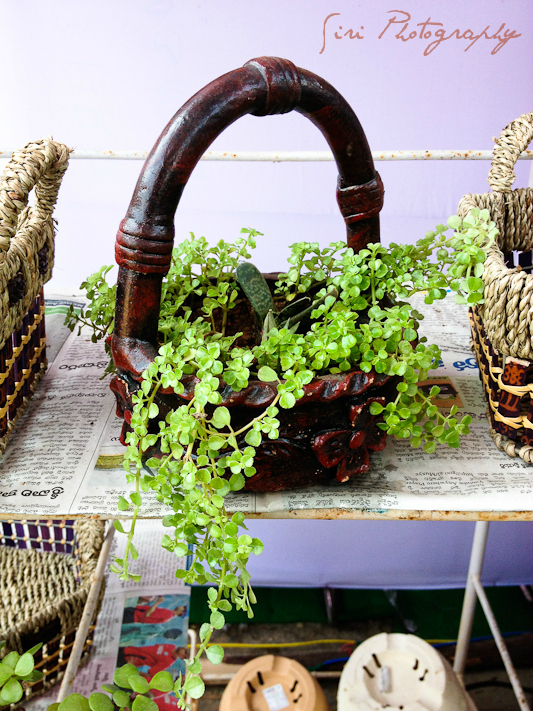 Right from beautifully crafted bonsai to banana samplings to fresh organic food, the expo had a stall for everything. 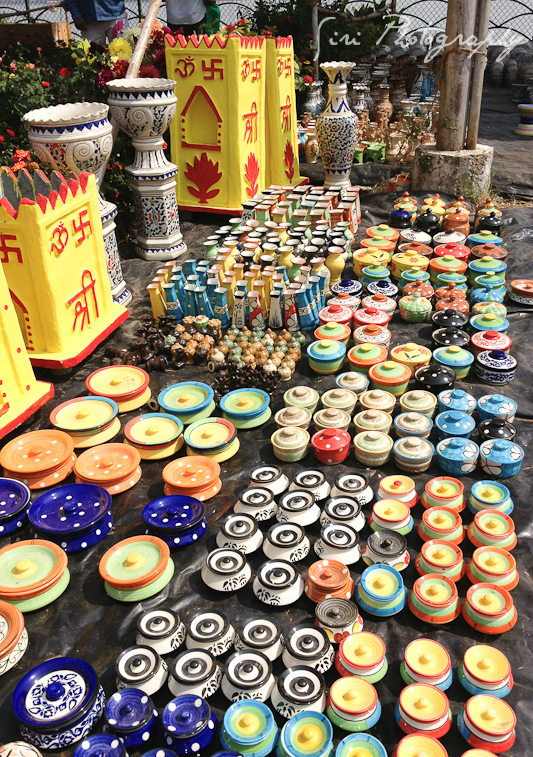 We both shopped until afternoon, chatted with the stall owners and had a fun time. Below are few pictures I photographed (using my Iphone 4S) while we were there. these were reasonably priced and I think are perfect as food photography props. I did buy a few for my collection. 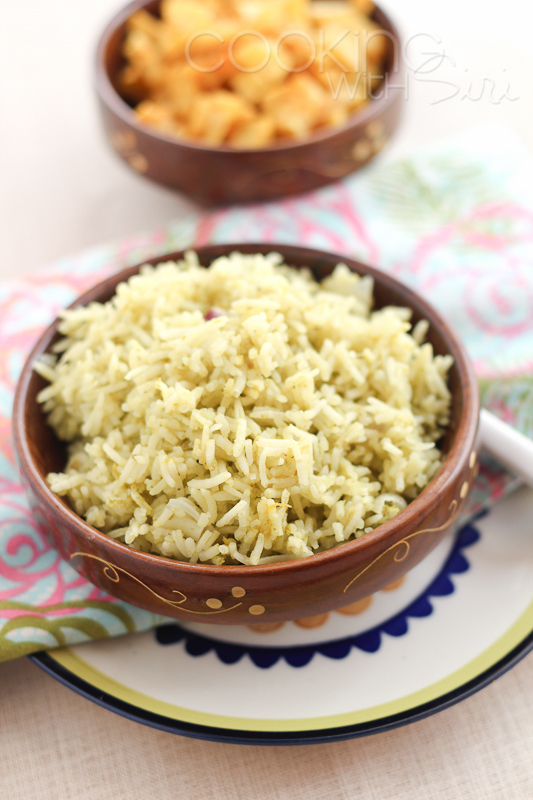 Now, let's talk about today's recipe - Arroz Verde (Green Rice) Shall we? Have you ever tried this? 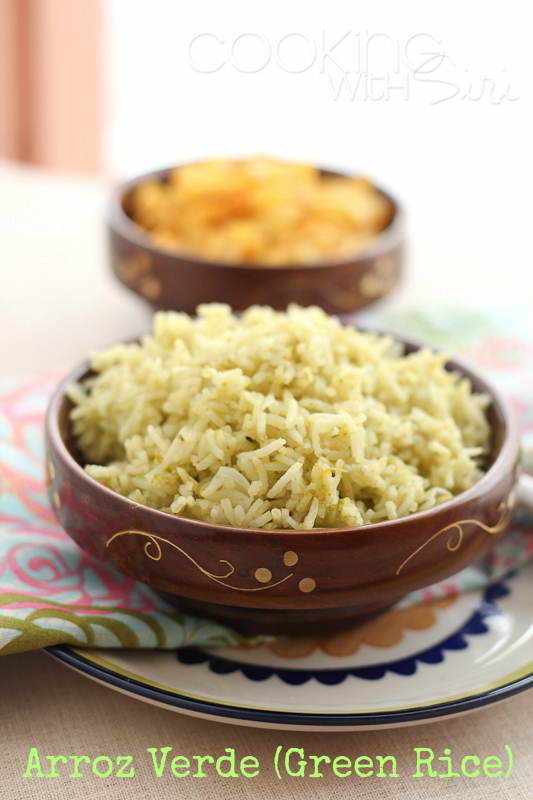 It a simple idea where we blend all things green into a puree and cook with rice. A classic Mexican side dish and the green ingredients used in this recipe are - green tomatoes, spinach, green chilli and cilantro. If you have tomatillos, use them instead of green tomatoes. You can also use - arugula, kale, parseley, any kind of chilli variety like poblano, jalapeno in this recipe. Its not too spicy and serves as an accompaniment with beans or any curry. 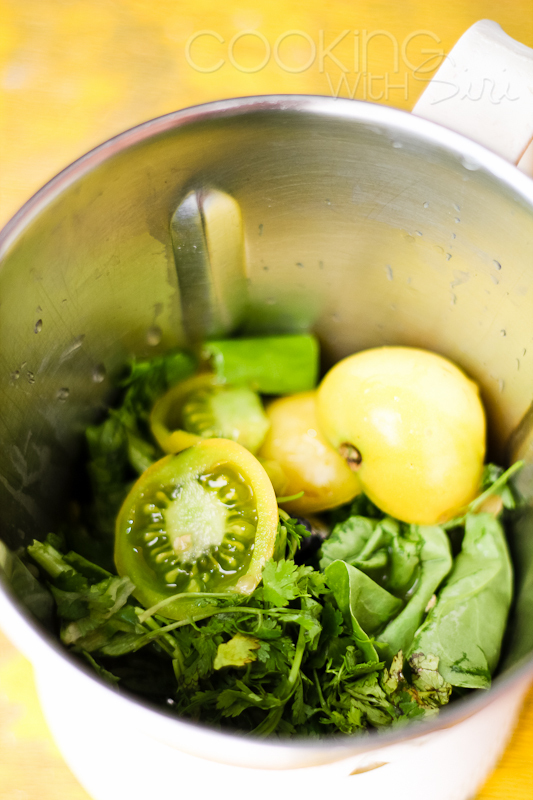 Place the green tomatoes, green chilli, spinach and cilantro in a blender cup. Grind into a smooth paste. No need to add any water. The juice from the tomatoes is enough for pureeing. Set aside. Heat olive oil and add garlic with chopped onion. Saute for couple of minutes. Now, add rice. Let it brown a bit until the rice turns light golden color. Now, add the green puree along with water. Season with salt. Cover and bring rice to a boil. Then reduce heat to low and cook until the liquid is completely absorbed. Don't stir while its cooking. Once the rice is cooked, remove from heat and set aside for 10 minutes. Fluff with a fork and Serve it as an accompaniment with almost anything. It tastes delicious as-is too! Am totally gonna try this! Beautiful pottery - and what a lovely sunny day!